The commercial pilot was departing on an agricultural application flight when the engine experienced a partial loss of power shortly after takeoff. The pilot released part of the load of fertilizer and attempted to land in a nearby field. The airplane contacted a levee during the landing, which separated the landing gear. The airplane became airborne again, then settled back onto the ground and subsequently nosed over. The reported weather conditions were conducive to serious carburetor icing at glide power; however, the airplane was operating at a high power setting for takeoff. Therefore, it is unlikely that carburetor icing was present. A postaccident examination of the engine did not reveal any mechanical malfunctions or anomalies and the reason for the partial loss of power could not be determined. A partial loss of engine power for reasons that could not be determined because postaccident examination of the engine did not reveal any anomalies that would have precluded normal operation. On April 27, 2018, at 1800 central daylight time, a Grumman G-164A airplane, nosed over during an off airport forced landing in Garwood, Texas. The pilot was not injured. The airplane was substantially damaged. The airplane was registered to and operated by Aero Ag Services Inc., as a Title 14 Code of Federal Regulations Part 137 aerial application flight. Day visual meteorological conditions prevailed. The flight was not operated on flight plan. The local flight was originating from a private airstrip in Garwood, Texas, when the accident occurred. The pilot reported that he was taking off with a full load of fertilizer on the 28TH flight of the day when the accident occurred. He stated the ground run and lift off were normal. After lifting off, he began a turn and reduced the engine power to 32 inches of manifold pressure. He then felt a "slight shudder" and an additional reduction in engine power with no sputtering or backfiring. Although the manifold pressure still indicated 32 inches of manifold pressure and the propeller was at full rpm, the pilot decided to return to the airstrip. As he turned, the pilot perceived that the engine was not producing power, so he leveled the wings, lowered the nose, and dumped some of the fertilizer load. The airplane contacted a levee during the forced landing which separated the landing gear and the airplane becoming airborne. The airplane touched down a second time and nosed over. 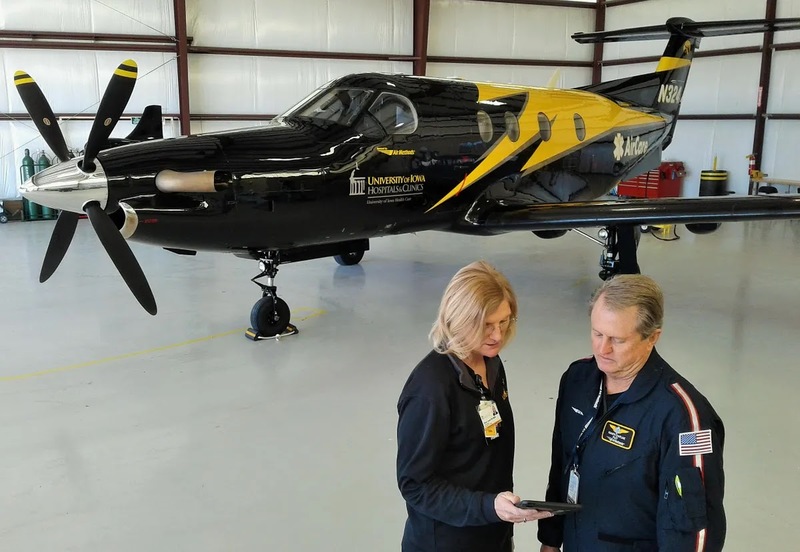 A postaccident examination of the engine was conducted on September 12, 2018, at Air Salvage of Dallas, Lancaster, Texas. One propeller blade was bent rearward about 70° and the other was slightly bent rearward. The carburetor was broken off the engine. Both magnetos produced spark when rotated by hand. Engine continuity was established, and compression was achieved on all cylinders except for the No. 5 cylinder that sustained impact damage. The spark plugs were removed. All the plugs were slightly dark in color with normal wear signatures. The blower impeller was visually examined and appeared normal. The impeller appeared to have excessive backlash, about 0.750 inches, but there was no end play and no signs of contact between the impeller and the case. No metal was detected in the oil sump or inlet screen. The air box and air filter were clear of debris. The carburetor heat door was wired in the open/off position. The examination of the engine did not reveal any anomalies that would have precluded normal operation. The temperature and dewpoint recorded at the Wharton Regional Airport (ARM), Wharton, Texas, located 23 miles southeast of the accident site, at 1815 were 77°F and 48°F respectively. According to the Federal Aviation Administration SAIB CE-09-35 Carburetor Icing Probability Chart those conditions were favorable for serious carburetor icing at glide power.